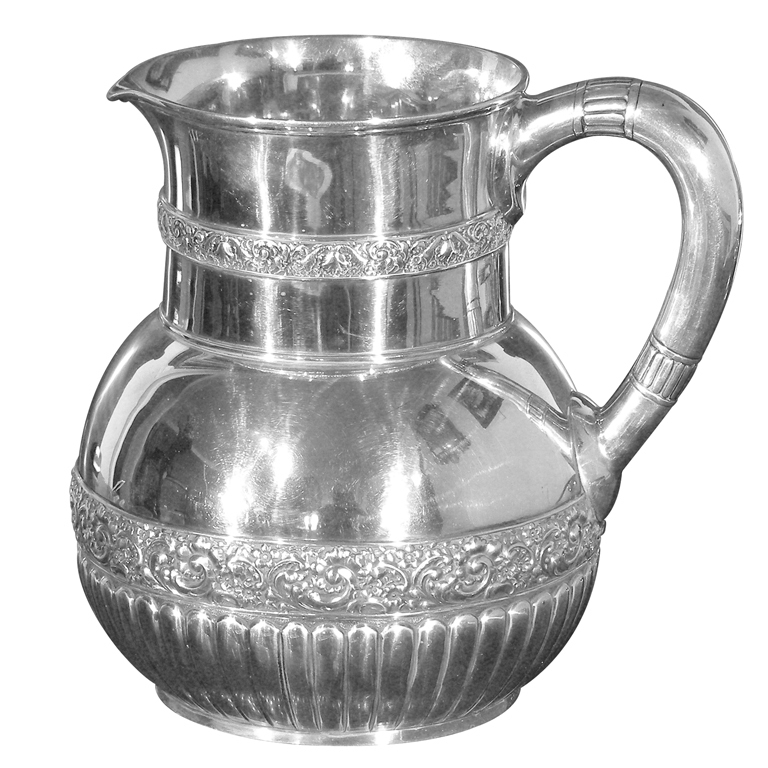 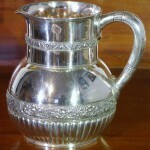 A nice example of this form associated with the Tiffany Co. upon which all manner of repousse’ work and engraving was used in myriad patterns. 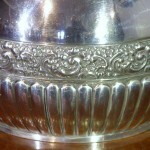 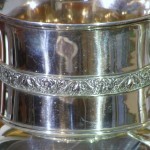 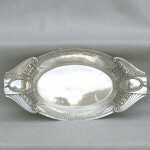 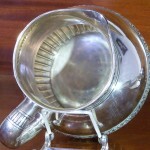 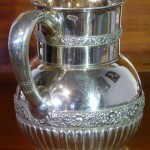 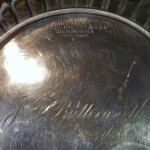 It is marked on the base “Tiffany & Company,3077 Makers 3380, Sterling Silver” and “J F Butterworth, November 30th 1881”. Wikipedia makes mention of a J F Butterworth as an artist who did work for Currier & Ives, the famous 19th Century print makers.Weight 23.7 Troy oz. 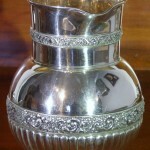 Excellent estate condition with normal small imperfections.